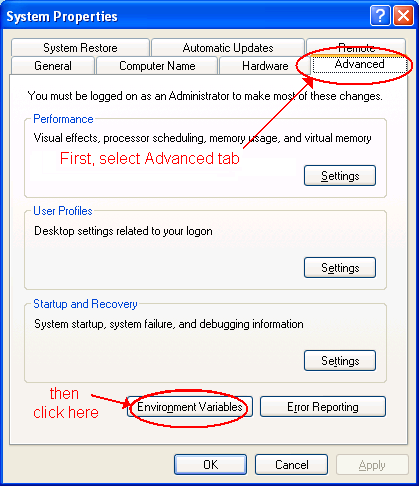 At one stage ("Choose Download Site(s)") it will ask you which source to use, choose a computer in Europe as it should be quicker. 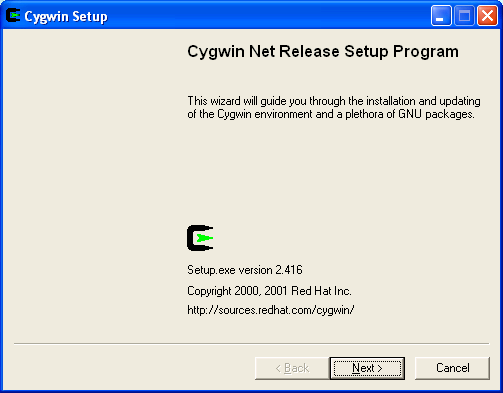 Run the new "Cygwin" icon that will be added to your desktop and start menu. After a small wait, this should bring up a black window with some text in it. Try typing some basic Unix commands to confirm it is working. e.g. Typing "ls -l -a" and enter should list a few files. The "ls" Unix command is short for list, and shows you the files in the current directory. The -a means show all files (even the hidden ones) and the -l means long format (shows extra details like file size). In Windows/DOS the equivalent is "dir". This is your "home" directory in "Unix land", I suggest you make a shortcut to this folder on the desktop. 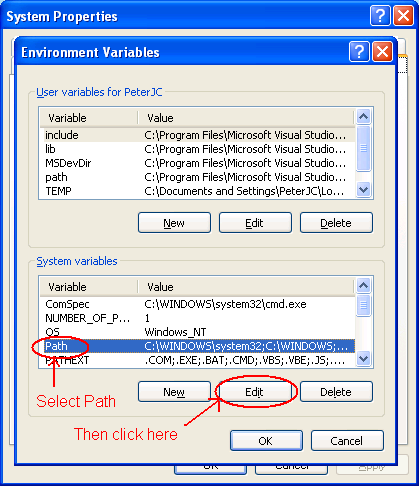 The installation does not seem to setup the Path environment variable, so we have to do this by hand. Next up, Part Two - Installing GCC.